There is no safe amount or safe time to drink alcohol during pregnancy. Whether you are trying to get pregnant or are pregnant already, stop drinking alcohol. No alcohol is the best and the safest choice for having a healthy baby. If you drink alcohol while you are pregnant, you are at risk of giving birth to a baby with Foetal Alcohol Spectrum Disorder (FASD). This term describes a range of disabilities (physical, social, mental, emotional) that may affect people whose birth mothers drank alcohol while they were pregnant. If you need help to stop drinking, you should ask your doctor, community health nurse, midwife or other health care professional for advice. Tell your partner, family, friends and community members who can all support you with this decision. What type of alcohol should I avoid? By concept should avoid any type of alcoholic beverages. 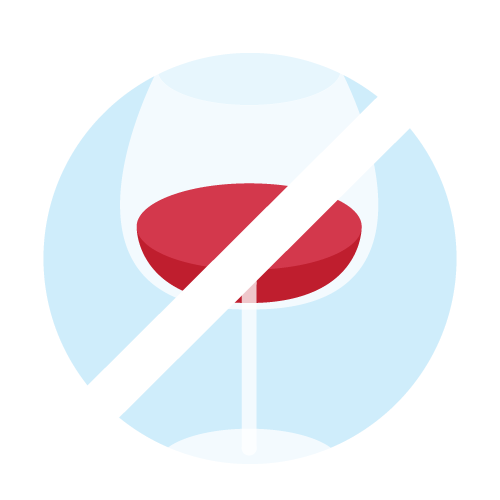 Beer, wine, cocktails, coolers, hard liquors (such as whiskey, gin or vodka), liqueurs or even hard ciders all contain alcohol that can hurt your developing baby. Are there times during pregnancy when it is okay to have alcohol? Experts are agreed that a glass of good wine at lunchtime or dinner can do no harm. How much drinking causes FASD? No one knows for sure how much drinking causes FASD. That means that there is no safe amount of alcohol: much less alcohol better. No. People have FASD for their entire life. They often require supports and services like especial education, vocational programs, tutors and even lifelong care.